"Barrier, Stop for inspection" was commissioned for the 2018 Warsaw Autumn Festival, and employs sounds, texts and images. The text, about the activity of remembering, was written in June 2018, and was translated to Polish by Halina Cieplińska. It appears both in English and in Polish orally and visually in fixed times during the piece. Most other materials, musical and visual, are performed and controlled during the live performance. In fact right now, there are two “right nows”. A mutual agreement on an uncertain truth. Amnon Wolman is a sound artist and composer who pursues a sound world in which social interactions are part of the musical information, and of the creative process. He is interested in the peculiar and subjective listening of an individual. and not with the generalizations that all listeners are presented with. 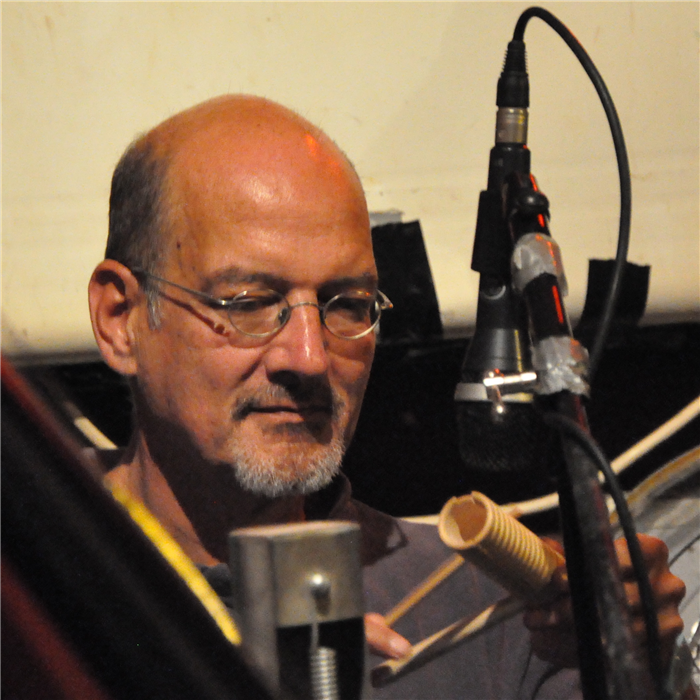 His work is presented by various soloists, performance organizations, galleries, and museums. Publications of some of his audio and text works are available commercially and on the web. He currently teaches at the Jerusalem Academy of Music and Dance and lives with his partner Eyal Levinson in Kfar Vradim, Israel, doing his best to support a just solution for the Palestinians living under Israeli rule.